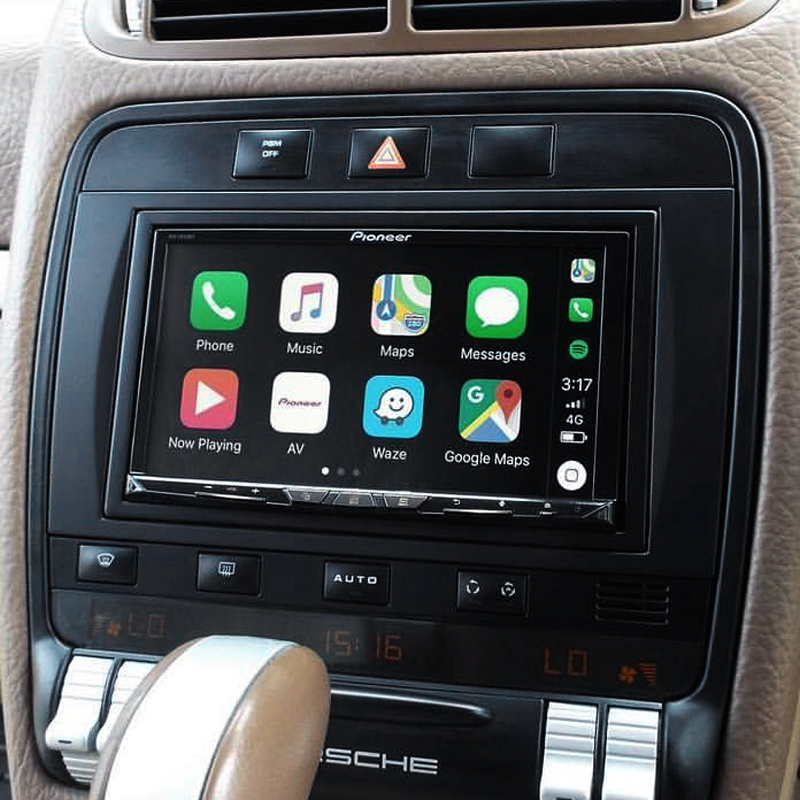 Boasting a 7” touch-screen, Android Auto, built-in Wi-Fi for Apple CarPlay™ wireless and wireless mirroring with compatible Android smartphones. A host of entertainment options, including smartphone music streaming, CD/DVD/AM/FM/Dual USB/HDMI input. Apple CarPlay™ wireless is a smarter, safer way to use your iPhone in the car that allows you to stay focused on the road and get directions, make calls, send and receive messages, and listen to music. You can even connect wirelessly to stay focused on the road. Wireless Mirroring function displays a wirelessly connected smartphone which is compatible with the function on the headunit display. Touch operation of this display makes it easy to share various content stored in the smartphone with other passengers. Note: touch operation differs among compatible smartphones. The AVH-Z9150BT has the ability to stream audio from 2 different compatible Bluetooth devices. The device can be selected easily on Bluetooth audio playback screen. Adding 1 or 2 cameras to your vehicle is the perfect way to improve your visibility on the road. Reversing can be a stressful experience. Connect an optional camera for improved safety (visibility of hazards) and peace of mind. Particularly when parking your vehicle or towing.